Since 1988, Laserfleet has actively promoted business practices that help to build environmental awareness. Through the implementation of our tried and true programs, any business can adapt these same principles into their own protocols, saving both money and the environment. Contact us now and let us reveal to you the hidden waste areas inside your business, which when remedied, can generate huge and unexpected monetary revenue for you! At the same time, let us also help you to develop and perfect your very own Environmental Stewardship Program, geared toward saving green! The dos and don’ts of developing a compatible imaging supplies program. The secret of how to reduce your paper usage by 40%. Which critical questions you must ask any e-waste disposal company before hiring them to remove items. Why spent, brand name imaging supplies are a hidden asset to you. The US Department of Energy shows that 66% of office energy is wasted during this time of day. By using compatible imaging supplies from Laserfleet, you will save up to 40% off your imaging supplies costs and help to protect our planet at the same time. Each year there are literally hundreds of millions of empty imaging products discarded into our landfills,all of which contain toxic wastes, such as mercury, cadmium and plastics. These items leech out into both our soil and water supply, and never decompose. By choosing our compatible supplies over brand name items, you’ll be helping to stop this environmental catastrophe from progressing even further than it already has. And at Laserfleet, we offer a full money back guarantee on all of our compatible imaging supplies, so you have absolutely nothing to lose and everything to gain.As Pioneers of the Industry, you know you can trust us to help you too, become an Environmental Steward! 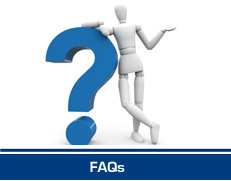 The top questions you must ask before purchasing compatible imaging supplies from anyone. How to become an expert when choosing a compatible imaging supplier. The dos and don’ts of developing a compatible imaging supplies program within your company. We’ll tell you the misleading words many companies use to get you to buy from them. With over 480,000 tons of empty brand name imaging supplies dumping into landfills each year, it is no surprise that our planet is suffering from the effects. These items all contain poisonous chemicals that leech into our soil and water supply, and are comprised of plastics that take centuries to decompose. The good news is that your trash may be worth money to you, while at the same time creating jobs for members of our local communities. Instead of losing out on your share of becoming an Environmental Steward, contact us today and learn just how you can put these old, empty products to work for you! We assess and reveal just how these discarded products can create new jobs for our communities. We let you know why there is a monetary value for you to initialize a program that stops these products from going into landfills. Why are spent, brand name imaging supplies a hidden asset to you? Most office personnel give little thought throughout their busy day to think about the copy paper they print their work on. However, in order to produce just 40 cases of copy paper, 17 trees must die and 7,000 gallons of water must be utilized. Also, 22% more energy is required to produce just one ton of copy paper versus making one ton of glass, and 36% more energy is needed over producing one ton of steel! Not to mention the expense of purchasing copy paper and paying for its heavyweight freight costs. We can help. Contact us about our Environmental Stewardship program today, and see how you save both your money and our Earth! We’ll provide you with the secret of how to reduce your copy paper usage by 40%. Is there a more efficient way to deal with the mountains of paper you have piling up all over your office? Absolutely! This software program can cut your internet printing in half, while still providing you with the important information you need. With today’s rapid turnover of computers, printers, supplies and cell phones, 90% of existing companies have their own private junkyards building up inside of closets and storage rooms, while having no idea what to do about it! In addition, finding out about the poisonous toxins these items contain is both sobering and disturbing. Now, because of these poisons, both Federal and State Governments are cracking down on e-waste disposal, making discarding it next to impossible due to the imposition of stricter disposal rules and regulations. Let the experts at Laserfleet help. We reveal to you the hidden costs of keeping your e-waste, and also how you can rid your office of it. Before disposing of your e-waste, are there any legal forms that must be filled out in advance for the State of Michigan or for other states? We let you know! What critical questions must you ask any company you’re considering hiring to dispose of your e-waste, before allowing them to remove it off your premises? We’ll tell you. With the explosive growth of electronics in the work place each year, human power consumption is spiraling out of control. We would all like to find better avenues towards Environmental Stewardship, but is it possible to develop a healthier carbon footprint and still maintain a strong ROI? Ask us! By implementing these basic steps, you can experience a major reduction of your energy consumption. Which particular computer monitor uses over 70% more energy than this other style monitor? By weeding these devices out from your work environment, you can develop a better carbon footprint. Is there a way to calculate the carbon footprint of your printers? Let us show you! Strongest Guarantee Available, Covering both the Cartridge and Your Printer!